There is an incredible amount of information to learn about diamonds. Diamonds are the hardest stone available for purchase as well as the most popular stone for bridal and fashion jewelry. Whether you love the look of a canary yellow diamond or the classic bright fiery white of a natural clear diamond, Joseph’s has what your looking for. 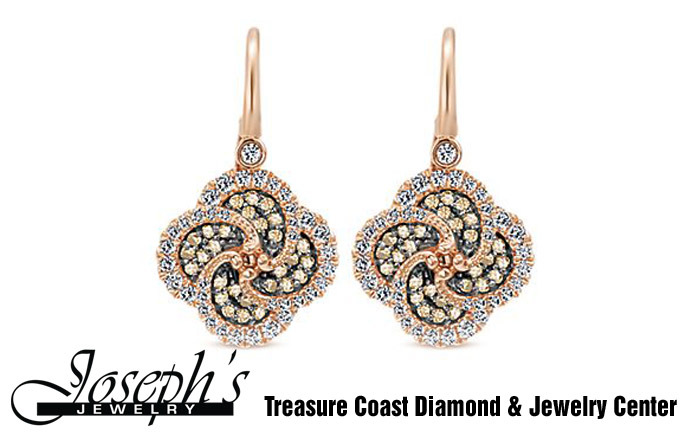 Joseph’s Jewelry is the premier location for Diamonds on the Treasure Coast. From remounts and custom creations to designer favorites, we can take care of your every need. 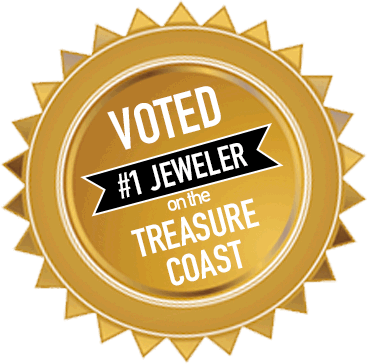 Check out our website for more information Diamond jewelry design, and repairs from the Number 1 voted jeweler on the Treasure Coast. RARITY AND BEAUTY: All gem-quality diamonds are rare, taking billions of years for nature to form them. The journey from the mine to you is long and arduous. While the four C’s information helps you to identify the quality of the diamond you are purchasing, it is the combination of these four characteristics which determine a diamond’s rarity. If you imagine a four-sided pyramid, with each side being a diamond characteristic—the more readily available diamonds form the base of the pyramid while the rarest diamonds are at the top. Keep this pyramid in mind when you are selecting your diamond. Your selection of characteristics will determine rarity and value. And remember—beauty is in the eye of the beholder. A diamond can only be truly perfect if you think it is beautifully perfect for you. COLOR: A diamond’s color is measured using the GIA® D-to-Z diamond color grading system. This system is the most widely accepted for grading. All diamonds are evaluated based on the absence of color. No hue = higher value: This lack of color is measured in degrees based on comparisons with masterstones, made while viewing under controlled lighting and conditions. This means that regardless of where in the world the diamond is graded it will be under the same conditions and should receive the same grade. These color distinctions are invisible to the untrained eye and should be left to a trained diamond grader.